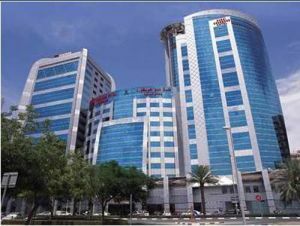 Maktoum Street, 64225 Dubai, United Arab Emirates. Strategically located in the heart of Dubai, just minutes from dubai International airport, is near from the city landmarks, shopping malls, leisure centre, the dubai creek, the clock tower, the dubai museum. The dubai concorde hotel and residence offers exceptional services, modern amenities with traditional arabian hospitality. It is the perfect place for a business trip, family vacation, or romantic get away. It offers a variety of 176 spacious guest rooms, suites and appartments, with all the amenities: high speed internet, satellite TV, minibar, safe deposit box, laundry service, 24 hours rooms service, daily cleaning, iron and iron board. The dubai concorde serves on unlimited choice of cuisine from oriental dishes and persian food. Voor oudere kinderen en volwassenen wordt 27.71 € per extra bed aangerekend.